TST (Technical Systems Testing) is an autonomous accredited testing company founded in 1993in Australia. It is operating mostly from Vancouver (Canada) and also has offices in London and Macau. TST has gained the worldwide recognition for testing & consulting gaming industries based online or remotely, alongside with traditional casinos, e-commerce, lottery and IT business fields. As it was already mentioned, TST is the Accredited Casino Software Testing. 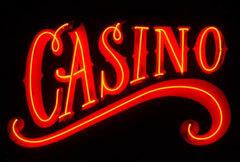 It provides a wide range of casino certification services as the impartial and independent company with highly experienced staff and ISO 9002 certified systems. The main function of TST is to ensure for all the participants of the e-gaming business industry that gaming products comply with the expected industry standards. TST puts stringent legislative requirements that regulate online gaming. The company also certifies and audits the security, transparency and fairness of the online gambling legality and its compliance with industry standards and requirements made by corresponding licensing jurisdiction. TST is a very reputable company with a lot of e-business experience that is why the certificates issued by it are always accepted by many software companies, licensors, online players and safe casino operators. Another major function of TST is to evaluate the complexities as well as security issues of IGSs (Internet Gaming Systems). It is the common fact that if IGSs was provided with the TST certificate, the players can be sure of the fairness of this system, as it was examined to the needed standards. The results of TST testing satisfy everyone involved in the examination process because of its credibility and accuracy. TST has an independent nature and the great experience.